We are the UK’s leading big cheque design and print specialists. We design and print high quality, large presentation cheques perfect for a wide range of uses. 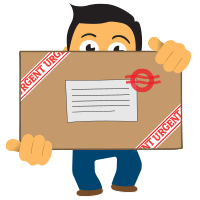 Our product range includes both ‘off the shelf’ large cheque packages, customisable cheques as well as fully bespoke cheque design and printing options. We offer high quality, stylish big cheques for all types of presentations and safe, secure online payments, speedy turnaround, insured courier delivery and friendly, efficient customer service. We have thousands of satisfied customers – including major international corporations, businesses, charities, trusts, not-for-profits and private individuals who all want to make a great impression when presenting their cheques, donations, prizes, gifts and awards. > Why use big cheques in your presentation? Please contact us for help and support – or call 01254 456789 where a friendly voice is ready and waiting to help you. All prices include professional design and artworking and we don’t charge for amends either! Let our big cheque design experts create the perfect cheque for you. 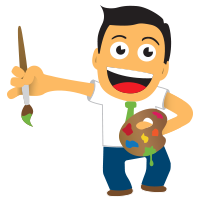 Our standard service turnaround is just five working days from approval of artwork. And all our prices include standard UK mainland shipping – Saving £14.95! 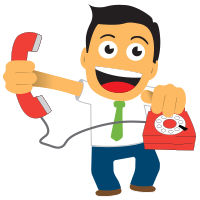 There’s always a friendly voice on hand to help or why not drop us an email? We’re ready and waiting to help you with any queries you may have. Thank you so much – cheques arrived this morning – you are a star! If only every company in the UK had such great customer service – my life would be an oasis of calm! Thank you for turning our job around so quickly. We were really up against it and you saved our lives! Thank you once again. Thank you so much for our large cheque that’s just arrived. It looks even better than I expected and you weren’t wrong – it is big! I’ll definitely be back to order again. Our charity cheque came this morning and looks amazing. We can’t wait for our members to see it – I’m sure the presentation is going to grab lots of attention. I’m so happy with the cheques for our company prize giving. The service was friendly, efficient and the delivery came exactly when you said it would. 10 out of 10. View more customer feedback we’ve received recently.